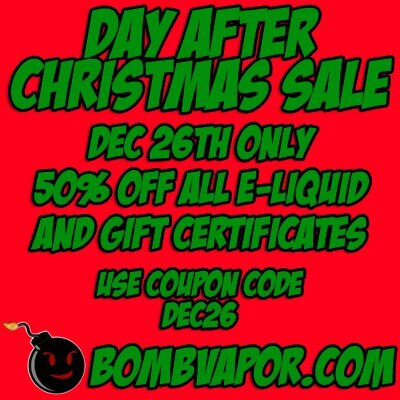 Bombvapor is running a 50% off juice and gift certificate sale – Today only. I have tried many flavors (i.e. Cherry Bomb) and they are all great. Haven’t found one that disappointed me.